The Amazons sounded killer to me the first moment I heard "In My Mind", and I’m ashamed to say I think I’m late to this party already! But happy I’m fashionably late and not missing out all together. 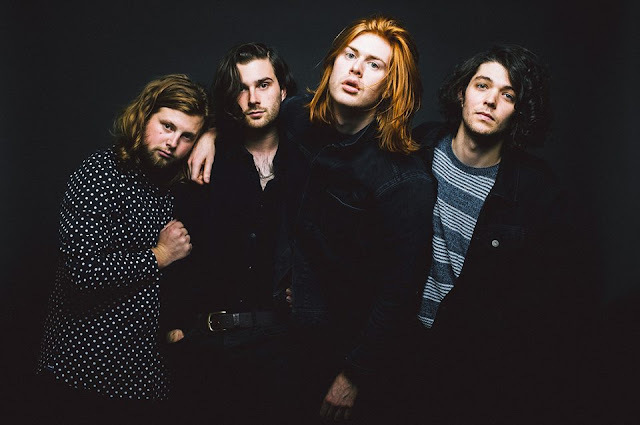 The Amazons consist of Matt, Chris, Elliot and Joe, who come together to make formidable sounding rock music. From everything I’ve heard/read about their live gigs, they walk the walk as well. Reading can't hold these guys back and they have grown rapidly, already gaining celeb fans who are backing them to be big next year. They're wrong. We think these guys are going to be HUGE! Tickets are selling like hot cakes for their 2017, I’ll be sure to be in a prime spot somewhere at a gig in the future. I'm sure there is an 'Amazons Prime' joke there somewhere, I’m just not witty enough to construct it properly. But anyway, go... force these guys onto a playlist now!